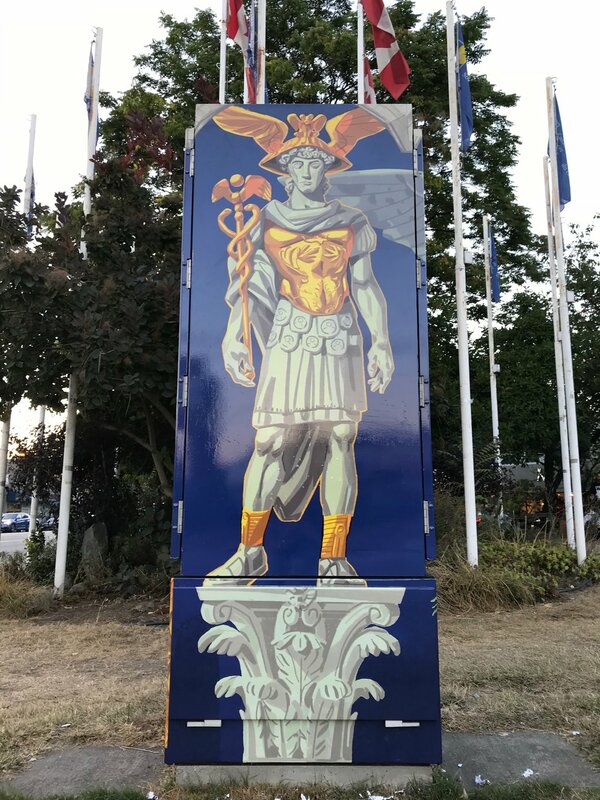 Utility box design for the City of Vancouver 2018 art program. I have always had a fascination for myths, especially the ones that came from Ancient Greece. I loved the amount of imagination, creativity, grandiose and adventure that was involved. As an adult, what makes me interested about myths on top of the aforementioned factors is how humans were able to come up with these symbolisms that transcended large communities and stuck around for thousands of years. It is very curious the way conversations and ways of these gods were absolutely common within societies. I hope this piece of art can inspire the minds of young and old the same way it has for me, and make others think about how they themselves can take control to create and imagine.